Over the years, advanced technological innovations have brought about major changes in the field of communication. With the advancement of internet, cell phones, and other electronic gadgets, the lives of people have substantially changed. Although the changes have brought positive outcomes to our lives, an addiction to cell phones has developed. This is demonstrated by the number of times we will check our cell phones, regardless of whether or not we have received a notification. Well, this is because cell phones have become such an integral part of our lives. This especially applies to the younger generation where cell phones have become an inseparable accessory —an all-pervading device. A survey conducted by Elon University found that the need of self-satisfaction attained through extreme cell phone use among the students has negative psychological effects on them. In recent years, people have become so addicted to their tablets and cell phones that it can be comparable to individuals that are addicted to drugs and/or alcohol. 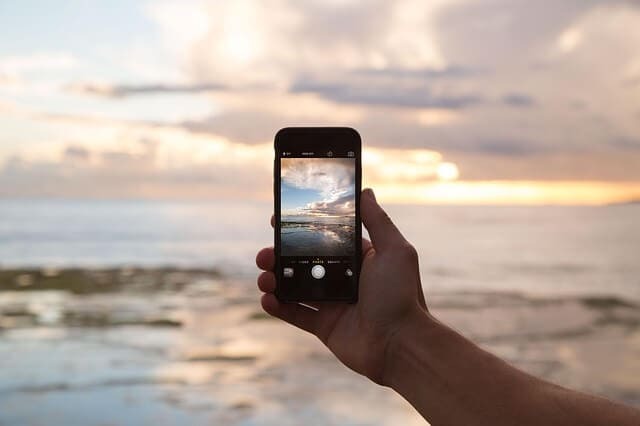 With the numerous benefits that mobile phones provide, people have become so attached that symptoms of behavioral addiction can easily be diagnosed. Cellphone use in adolescents has become so prominent that they use them late into the night, disturbing their sleeping schedule. According to a study on cell phone addiction, signs of addiction include feeling uncomfortable when phone isn’t present, as well as, high phone bills. Addiction to cell phones has been linked to stress, sleep deprivation, depression, anxiety, attention deficit disorder, and behavioral issues among the younger generation. Furthermore, extreme usage has also led to academic failure and increased risk of car accidents. Research has also revealed a direct relationship between excess cell phone usage and the increased rates of teen depression and suicides. What can be done to alleviate addiction to cellphones. Overuse of social media negatively impacts young kids. It is difficult to reach a solution on this matter because of the many benefits that cell phones provide its users with. They cannot be taken away from children and teenagers, however, time spent with their cell phones can be more regulated and restricted. For students, mobile phones should be banned during school hours to prevent them from getting distracted during class and to help them develop better interpersonal skills by interacting with other students. Parents should keep track of how much time their kids spend on their smartphones or on the internet. Certain content should also be restricted or limited. Presently 9 out of 10 Americans own a smartphone and they spend on average about 5 hours a day on them. We have developed an addiction to cell phones and have become extremely dependent on them. This has created a behavioral attachment that is neighboring on addiction. Similar to being addicted to alcohol and/or other substances, dependence on mobile phones or social media can reach a level where it will start interfering with people’s day to day activities. At AKUA Mind & Body, we understand that both substance and behavioral addiction affects the entire family, not just the individual. As part of our comprehensive addiction and mental health programs, we offer psychodynamic therapy, trauma-informed care and family therapy to help clients develop healthy attachments, overcome early childhood trauma and learn how to live a life free from addiction. If you or someone you know is dealing with addiction or any mental health issue, you can call our Confidential Admissions Line at 833-AKUA-NOW. 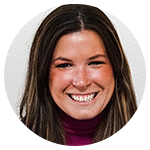 Kristen, is a clinical content writer and enjoys writing about evidence-based topics in the cutting-edge world of mental health and addiction medicine. She is a family medicine physician and author, who also teaches and contributes to medicine board education. Her passion lies within educating the public on preventable diseases including mental health disorders and the stigma associated with them. She is also an outdoor activist and dog enthusiast. Does My Teenager Have a Substance Abuse Disorder? We’re always looking for talented people to join our team. If you’re interested in kickstarting your career at AKUA.